Sorry, but Nintendo closed Mario's hotel and dismantled his time machine a long time ago. 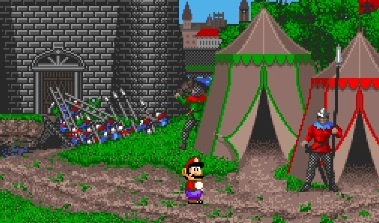 Now that Nintendo released the 3DS eShop and Super Mario Land, it's only a matter of time before the publisher digs into its back catalogue of Mario games. That said, expect to see Super Mario Land 2: 6 Golden Coins in the near future. Not all of the plumber's adventures, though, will make the cut. Unbelievably, there are some games Nintendo will (probably) never put on the virtual store, long lost titles that have remained buried for years. On that note, the odds of seeing these games on the eShop don't look good. Over the next few years, we expect Nintendo to release numerous NES games through the eShop under the 3D Classics line. Mario is Missing!, though, won't be one of them. This geography based title sends Luigi on a mission to rescue his bro while preventing Bowser from melting Antarctica's ice with a bunch of hair dryers. Hmm...perhaps the story has something to do with this game's disappearance. Unless Nintendo releases a full keyboard for 3DS (that doesn't even make sense), you won't be able to improve your typing skills with this Interplay published/developed effort. 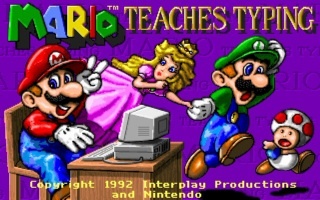 This also goes for its sequel, the appropriately titled Mario Teaches Typing 2. In this largely ignored Mario adventure, our favorite plumber must fix history by nabbing a bunch of artifacts that Bowser stole. 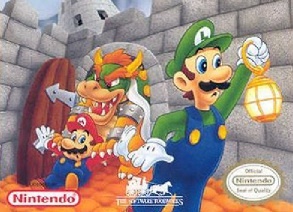 For whatever reason, Nintendo doesn't talk about this game, leading us to believe that it's buried for good. 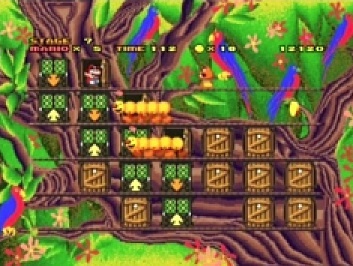 Widely regarded as one of the worst Mario games of all time, the Fantasy Factory developed Hotel Mario is a weird looking puzzle game that challenges you to somehow shut a series of doors en route to saving Princess Toadstool (Peach) from Bowser. We still can't believe that Nintendo allowed Philips to disgrace its mascot like that. 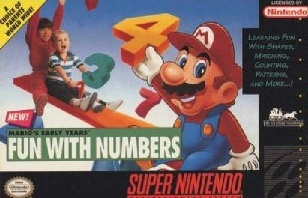 In the early 90s, Nintendo released three educational games for youngsters as part of the Early Years! series: Fun with Letters, Fun with Numbers and Preschool Fun. Despite featuring familiar faces from the Mushroom Kingdom, we can't recall ever seeing these titles on store shelves and no one mentions them today. Well, aside from us, apparently. 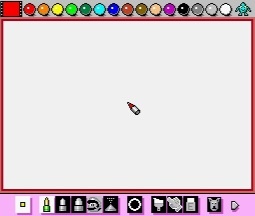 At first, releasing Mario Paint on 3DS made sense, since the touch screen would allow users to create digital masterpieces. On second thought, the tiny screen would make it difficult to draw.